CARFAX One-Owner. Clean CARFAX. This 2018 Chevrolet Suburban LT in Silver Ice Metallic features: Suburban LT, 4D Sport Utility, V8, 6-Speed Automatic Electronic with Overdrive, 4WD, Silver Ice Metallic, jet black Leather, 4-Wheel Antilock Disc Brakes, ABS brakes, Compass, Electronic Stability Control, Front dual zone A/C, Heated door mirrors, Heated Front Reclining Bucket Seats, Heated front seats, Illuminated entry, Low tire pressure warning, Navigation System, Power Liftgate, Power-Adjustable Accelerator & Brake Pedals, Remote keyless entry, Traction control. Recent Arrival! 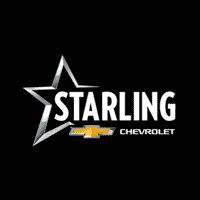 COMPLIMENTARY STARLING MAINTENANCE ADVANTAGE • Replace engine oil (2 visits) • Replace oil filter (2 visits) • Inspect fluids & lubricate chassis (2 visits) • Tire rotation & adjust pressures (2 visits)* • 27 point vehicle inspection • Complimentary shuttle service and loaner vehicles • $100 customer referral certificate (1) Please return to issuing dealer listed above. This program covers conventional 5 quart oil changes only. If you request, or your vehicle requires synthetic or diesel motor oil or special filter, you will be required to pay a surcharge. See your service advisor for details. *Tire rotations for Dual Rear Wheel vehicles excluded. ©2015 Zurich American Insurance Company A1-112006038-A (08/15) 112006038. This 2016 Ford F-150 in features: 4D SuperCrew, 5.0L V8 FFV, 6-Speed Automatic Electronic, 4WD. Recent Arrival! Awards: * 2016 KBB.com Brand Image Awards COMPLIMENTARY STARLING MAINTENANCE ADVANTAGE • Replace engine oil (2 visits) • Replace oil filter (2 visits) • Inspect fluids & lubricate chassis (2 visits) • Tire rotation & adjust pressures (2 visits)* • 27 point vehicle inspection • Complimentary shuttle service and loaner vehicles • $100 customer referral certificate (1) Please return to issuing dealer listed above. This program covers conventional 5 quart oil changes only. If you request, or your vehicle requires synthetic or diesel motor oil or special filter, you will be required to pay a surcharge. See your service advisor for details. *Tire rotations for Dual Rear Wheel vehicles excluded. ©2015 Zurich American Insurance Company A1-112006038-A (08/15) 112006038.